1946, two sons: composer Peter Bernstein; writer Gregory Bernstein; 2) Eve Adamson, 1965, two daughters. Career: After military service, worked as a concert pianist; also worked in the United Nations radio department; scored first film, Saturday's Hero , 1951; composed for the TV series Johnny Staccato , 1959–60; composed for the TV series Riverboat , 1959–61; composed for the TV series Owen Marshall, Counselor at Law , 1971–74; composed for the TV series Ellery Queen , 1975–76; composed for the TV mini-series Captains and the Kings , 1976. Awards: Best Motion Picture Score Golden Globe, for To Kill a Mockingbird, 1962; Best Original Music Score Golden Globe, for Hawaii, 1966; Best Original Music Score Academy Award, for Thoroughly Modern Millie , 1967; Los Angeles Film Critics Association Career Achievement Award, 1991; Cinequest San Jose Film Festival Maverick Tribute Award, 1998. Address: c/o Academy of Motion Pictures Arts and Sciences, 8949 Wilshire Boulevard, Beverly Hills, CA 90211, U.S.A.
Filme Cultura (Rio de Janeiro), May/June 1969. "What Ever Happened to Great Movie Music?," in High Fidelity (New York), July 1972. Film Music Notebook (Calabasas, California), Fall 1974. "The Annotated Friedkin," in Film Music Notebook (Calabasas, California), Winter 1974. Film Music Notebook (Calabasas, California), Winter 1974–75. Interview with Irwin Bazelton, in Knowing the Score , New York, 1975. Film Music Notebook (Calabasas, California), Spring 1975. Film Music Notebook (Calabasas, California), Summer 1975. "Film Composers vs. the Studios," in Film Music Notebook (Calabasas, California), vol. 2, no. 1, 1976. Film Music Notebook (Calabasas, California), nos. 2 and 3, 1976. "On Film Music," Journal of the University Film Association (Carbondale, Illinois), Fall 1976. Film Music Notebook (Calabasas, California), vol. 2, no. 4 and vol. 3, no. 1, 1977. Interview with Jerry Goldsmith, in Film Music Notebook (Calabasas, California), vol. 3, no. 2, 1977. Interview with John Addison, in Film Music Notebook (Calabasas, California), vol. 3, no. 3, 1977. "The Aesthetics of Film Scoring," in Film Music Notebook (Calabasas, California), no. 1, 1978. Interview with Henry Mancini, in Film Music Notebook (Calabasas, California), vol. 4, no. 1, 1978. Interview with Bronislau Kaper, in Film Music Notebook (Calabasas, California), vol. 4, no. 2, 1978. Millimeter (New York), April 1979. Soundtrack! (Hollywood), June and September 1983. Godfrey, Lionel, "The Music Makers: Elmer Bernstein and Jerry Goldsmith," in Films and Filming (London), September 1966. Focus on Film (London), January/February 1970. Films in Review (New York), December 1971. Dirigido por . . . (Barcelona), January 1974. Scheff, Michael, in Film Music Notebook (Calabasas, California), Winter 1974–75. Fistful of Soundtracks (London), July 1981. Score (Leystad, Netherlands), March 1982. Cinefantastique (New York), January 1985. Walsh, J.S., "The Ten Most Influential Film Composers," in Film Score Monthly (Los Angeles), January/February/March 1996. Sight & Sound (London), May 1996. Wolthius, J.J.C., and R. Valkenburg, "Elmer Bernstein," in Score (Ak Lelystad, Netherlands), June 1996. In 1967, Elmer Bernstein won an Oscar for scoring Thoroughly Modern Millie , which is ironic because it is not typical of his work and is far less interesting than his other Oscar-nominated scores, among them The Man with the Golden Arm , The Magnificent Seven , Summer and Smoke , To Kill a Mockingbird , Hawaii , and The Age of Innocence . The first of these was marked by an arresting use of jazz colors and rhythms; the theme from The Magnificent Seven remains possibly the most recognizable of all Western movie themes; and the score for To Kill a Mockingbird is generally thought to be the most evocative for any film set in the Deep South. Bernstein showed artistic aptitude as a child. He won a number of prizes for paintings but by the age of 12 it was apparent that his major talent was music. He studied piano with Henrietta Michelson of the Juilliard School of Music but she was so impressed with his ability to improvise that she took him to see Aaron Copland. He arranged lessons in composition with Israel Sitowitz, resulting in a scholarship that enabled Bernstein to study with Roger Sessions. Completing his music education at New York University, Bernstein was still intent on a career as a concert pianist and began giving recitals in his late teens. At 21 he was inducted into the Army Air Corps and assigned duty as an arranger with the Armed Forces Radio Service. One of his first jobs was making arrangements for Glenn Miller's newly formed Army Air Corps band. In time he was given assignments scoring radio documentaries and in the course of the next three years arranged and composed for about 80 of them. He returned to being a concert pianist after his military service but in 1949 he accepted an offer to score a radio program for the United Nations, which led to similar film offers, and finally one from Columbia Pictures. Bernstein was brought to Hollywood in 1951 and given two films, Saturday's Hero and Boots Malone . After a dozen modest films Bernstein drew comment with The Man with the Golden Arm , plus a goodly sale on the record album, and his success thereafter was assured. His music for DeMille's The Ten Commandments proved his ability to handle the mightiest of screen fare, but it was with his scores for films of Americana, such as Desire under the Elms , God's Little Acre , and Summer and Smoke , and such Westerns as The Magnificent Seven , The Scalphunters , True Grit , and The Shootist that Bernstein seemed truly at home. As the years passed, he has remained an active and vital force in the film industry, easily adapting himself to changing tastes. After working on National Lampoon's Animal House in 1978, Bernstein went on to score a number of comedies starring Saturday Night Live alumni (including Meatballs , Stripes , Trading Places , Ghostbusters , and Spies Like Us ). Meanwhile, he continued working on more serious films, winning acclaim for his evocative scores of My Left Foot , The Grifters , A River Runs through It , and Age of Innocence , and his adaptation of Bernard Herrmann's original score of Cape Fear , commissioned for Martin Scorsese's 1991 remake. In the late 1990s, approaching his eightieth birthday, Bernstein remained ever-active, composing the scores for films as varied as Francis Coppola's The Rainmaker, Robert Benton's Twilight, Barry Sonnenfeld's Wild Wild West , and Scorsese's Bringing Out the Dead. 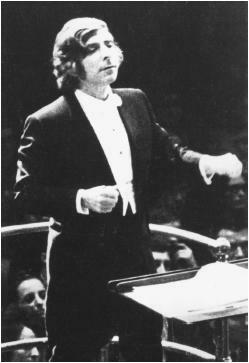 Active as a guest conductor with symphony orchestras and for a ten-year period the president of the Los Angeles Young Musicians Foundation, Bernstein has also been involved in film music preservation, starting his own record label, Film Music Collection, in 1974 and recording scores by the likes of Rozsa, Newman, Tiomkin, Steiner, and others. Few men have done more to maintain high standards in film scoring than Bernstein. "Music really is an art whose life begins where pictures and words leave off," he has declared. "You receive it through an emotional medium. Music is basically an emotional fantasy. It is for this reason that I think it functions so ideally in film."